This is the nametag for the pilots of VFA-83. These are the nametags for the enlisted personnel for VFA-83 that have earned their Enlisted Air Warfare Specialty (EAWS) Wings. 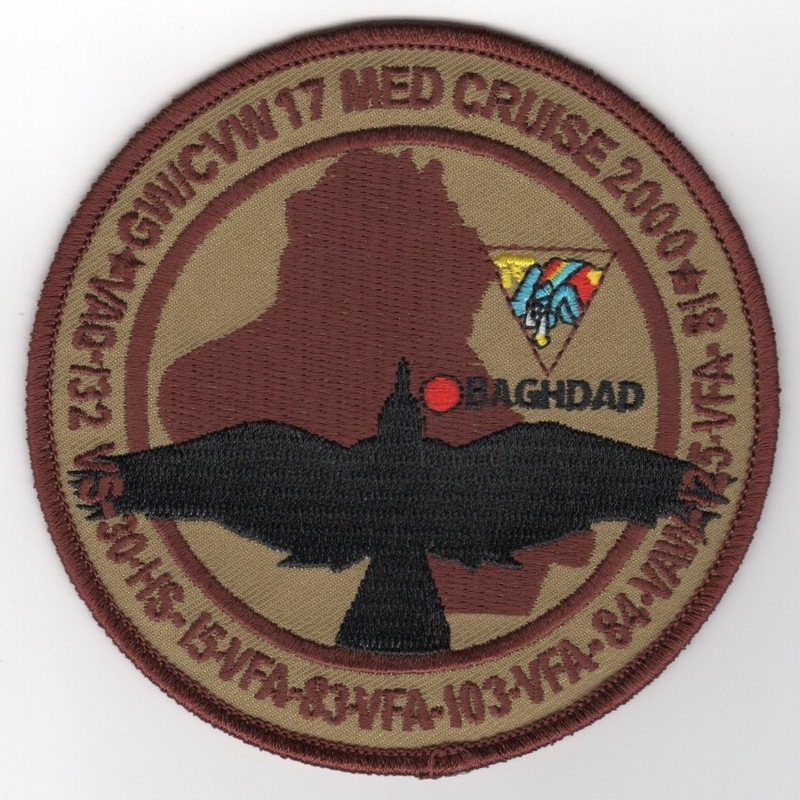 This is one of the cruise patches created by the Rampagers. 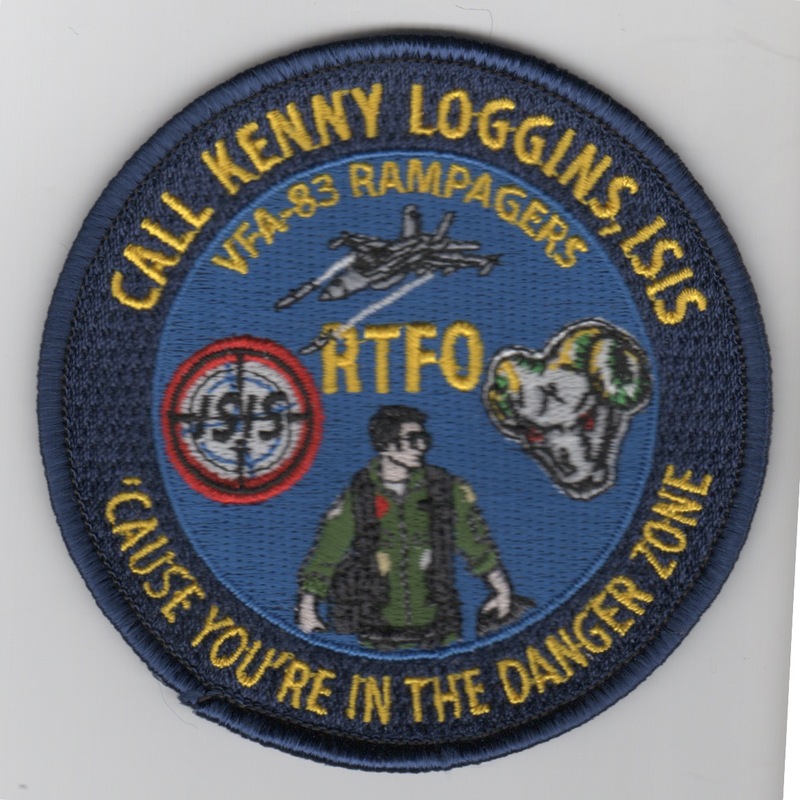 It says "Call Kenny Loggins, ISIS" (top), and "Cause You're In The Danger Zone" (bottom). This is obviously a dig at the Tomcat community, as it shows "Tom Cruise" at the bottom of the patch. This patch does not come with velcro attached. Strike Fighter Squadron 83 (VFA-83), also known as the "Rampagers", are a United States Navy F/A-18C Hornet fighter squadron stationed at NAS Oceana and are a part of Carrier Air Wing 7. In mid-1990 they made their first Hornet deployment aboard the USS Saratoga in support of Operation Desert Shield and Operation Desert Storm. For 43 days they flew 237 combat missions over Iraq and Kuwait and continue the fight to this day. This patch does not come with velcro attached. The "Rampagers" of VFA-83 flew the A-7 Corsair out of NAS Cecil Field, FL for many years before transitioning to the F/A-18C Hornet in February 1988. They are attached to CVW-17, participating in Desert Storm from the USS Saratoga (CV-60), then deployed in summer '96 aboard the Big "E" (CVN-65). The Rampagers also transitioned from NAS Cecil Field to the Master Jet Base NAS Oceana, VA. The "Rampagers" of VFA-83 flew the A-7 Corsair out of NAS Cecil Field, FL for many years before transitioning to the F/A-18C Hornet in February 1988. They are attached to CVW-17, participating in Desert Storm from the USS Saratoga (CV-60), then deployed in summer '96 aboard the Big "E" (CVN-65). The Rampagers also transitioned from NAS Cecil Field to the Master Jet Base NAS Oceana, VA. This is their "Jr. 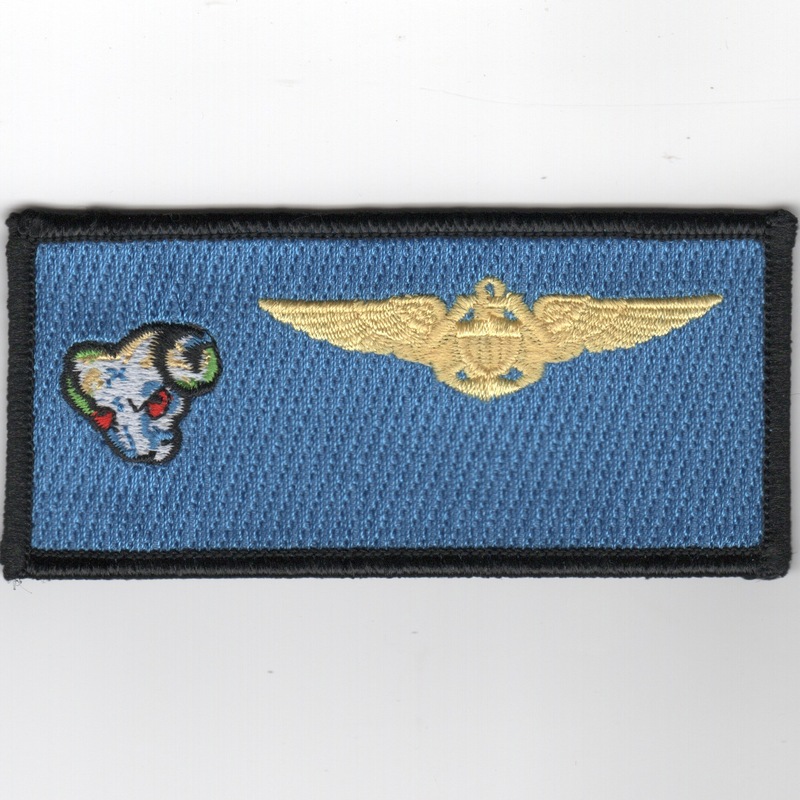 Officer Protection Agency (JOPA)" patch. 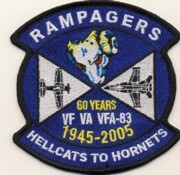 This is the 60th Anniversary patch for the VFA-83 RAMPAGERS. It shows the dates (1945 - 2005), the aircraft (Hellcat and Hornet) and says "HELLCATS TO HORNETS" along the bottom. Homepage | Order VFA-83 Patches!